London Underground worker Mal Thomas is staying in Porthkennack to recover from a traumatic experience. Getting more bad news from home is the last straw—until big, blond museum curator Jory Roscarrock steps up to offer some comfort. As a doctor of English literature, Jory should be in a prestigious post at a top university. But a youthful indiscretion led him to abandon academia to come back to his hometown, Porthkennack, and the controlling family he’s never really felt a part of. He’s delighted to find a kindred spirit in Mal. But Jory’s family hurt Mal’s best friend deeply, and while Jory is desperate to repair the damage, his own mistakes threaten to keep him and Mal apart. Meanwhile, Mal is torn between his feelings for Jory and his duty to his friend—and his fears that a failed relationship could be more than his shattered confidence can take. Jory must convince Mal it’s worth risking everything for their love. A contemporary Porthkennack story – jump into the series wherever you'd like! This is another angst filled addition to the Porthkennack series. A chance meeting between aristocratic Jory and Mal, a visitor from London, leads to a complicated relationship and even messier relationships between the Roscarrock family and Mal’s friends in Porthkennack. This is the ninth book in the series, but readers really only need to have read the first book by the same author to understand this one. It’s a more coherent story than the first book, but it is just as tangled and gritty. For me, this is missing both the magical sense of place and the complex character development I’ve loved in other stories in this series. I liked both Jory and Mal. I felt sorry for both of them at times – but I didn’t fall madly in love with either of them. Once again, we get a whole lot of local legend and lore – including more historical smuggling and the history of the Roscarrock family – and I enjoyed the way this builds on various stories in the series. This isn’t my favourite of the Porthkennack books, but it was an entertaining read. 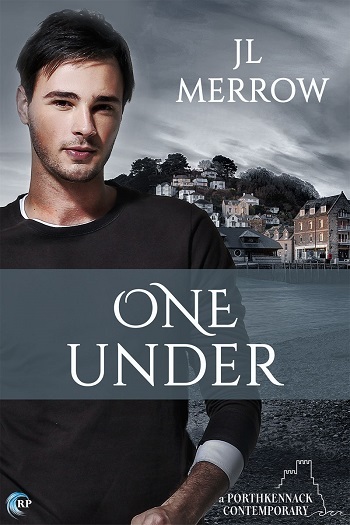 Reviewers on the Wicked Reads Review Team were provided a free copy of One Under (Porthkennack #9) by JL Merrow to read and review.